The Big Design Market — Next Weekend! 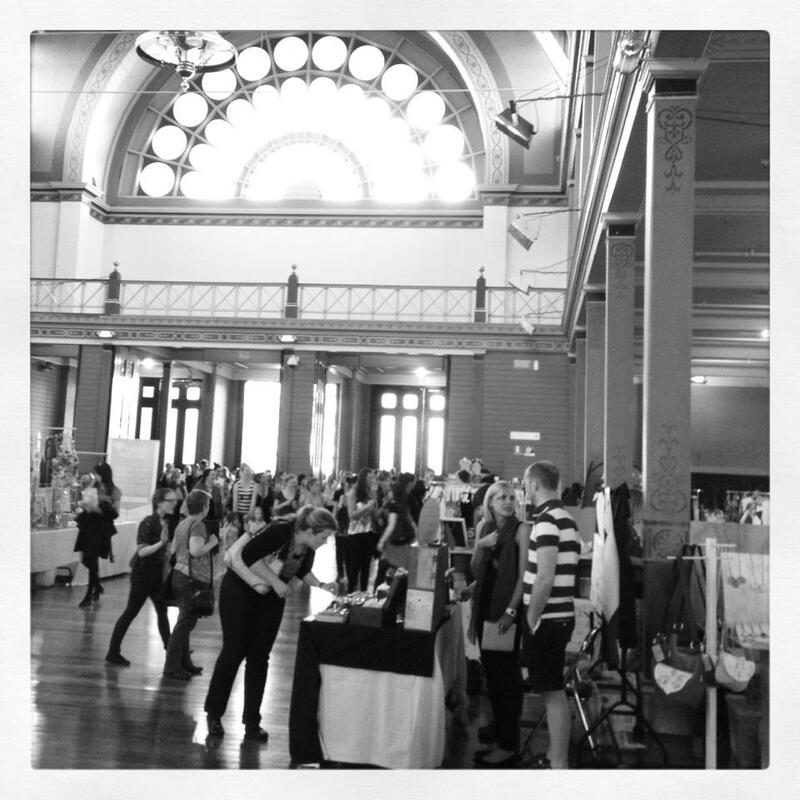 The Big Design Market is on next weekend, December 7/8/9 at the Royal Exhibition Hall in Melbourne. 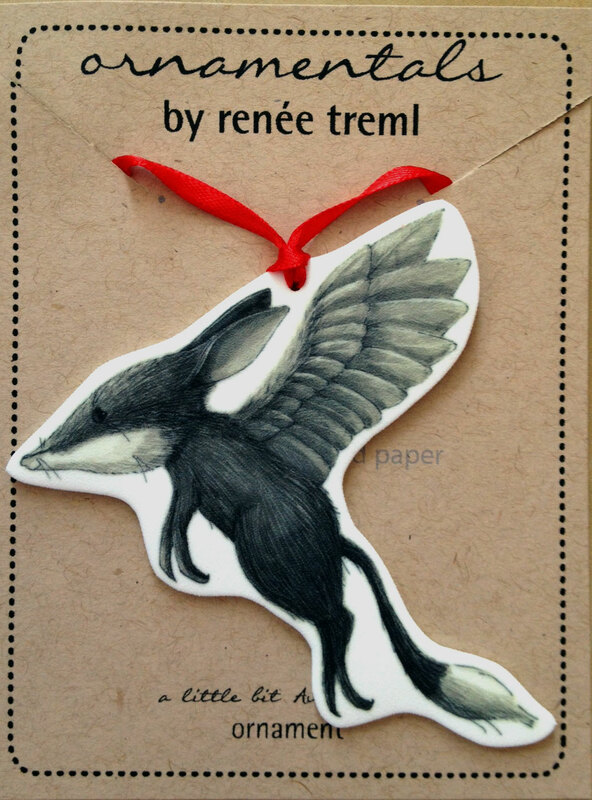 I’ll be sharing a stall with Udessi, so in addition to my illustrations, you will find a big selection of Australian-Made ceramics and art. Gorgeous ceramics by the talented Kim Wallace of Udessi. Kim and I will have our new collaborative brooches available and I will be unveiling two just out of the studio Tea Cozy illustrations. (Sneak preview below.) Both originals and prints will be available at the market. Stop by and say hi if you are at the market! I am cleaning up the studio and have a collection of ornaments that I consider ‘seconds’. Each ornament I make is slightly unique, but these fall just outside of my standard range. No one but me (and you) will probably ever guess these are ‘seconds.’ They just a tad bit imperfect because they either have a little ripple on the surface or came out just a shade darker than my standard ornaments. I can’t bring myself to recycle them because they are still lovely and useful (and my tree is already laden with a lovely collection of seconds). They are all half price and you can check them out on my Etsy site. Only a limited number are available. I hate admitting it when I make a mistake… but, (here it is) I made a mistake. 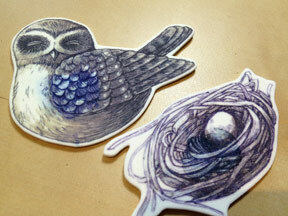 I printed a batch of brooches and necklaces with a cyan ink that is not waterproof. So, when exposed to even a tiny bit of moisture, the cyan runs. Normally you can run these puppies through the washing machine and nothing happens (ok, that’s not entirely true, the plastic really doesn’t like a lot of water, but the inks hold tight). So, you may have a bad brooch or necklace if you purchased it at the 2012 Finders Keepers in Melbourne (October) or Brisbane (November). It’s easy to test, just put a little dab of water on your brooch or necklace and wait a few minutes. If the blue ink runs, then you need to send it back to me and I’ll replace it. 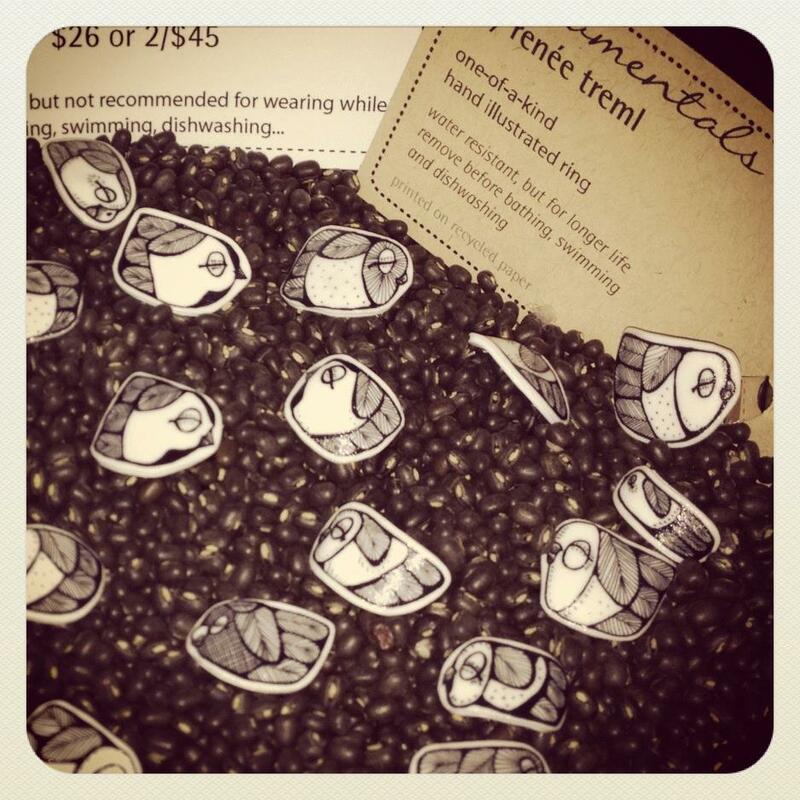 If you have a piece of affected jewellery, just email me at Renee.Treml[REMOVE]@gmail.com and I will send you my postal address. Just a note to let you know that I now have a brand spankin’ new wholesale website, created by the very talented Greg Wallace of 46 Digital Marketing. The site is password protected and I am in the process of creating accounts for my current stockists. Please drop me a line if you have not gotten yours yet. This is one of those times when you really and truly do get something for free. And you get to customize it too. If you haven’t seen this before, it is brilliant. It’s the free downloadable Owl Lover 2013 Calendar. You can select artwork for each month or download the pre-made calendar. I contributed one of my favorite owls this year — Tea Cozy Great Horned Owl. My Owl Barn is one of my favorites as it is (obviously) all about owls and Shivani has a new post almost everyday featuring owls in art and design. I hope you take advantage of this gorgeous calendar and have as much fun as I do selecting your owl artwork! Kim Wallace and I have been scheming our illustration-ceramics collaboration for over a year now and are finally introducing our first pieces. In Brisbane, Kim hand cuts each piece and rolls the vintage lace into the wet clay, leaving the delicate texture and pattern. 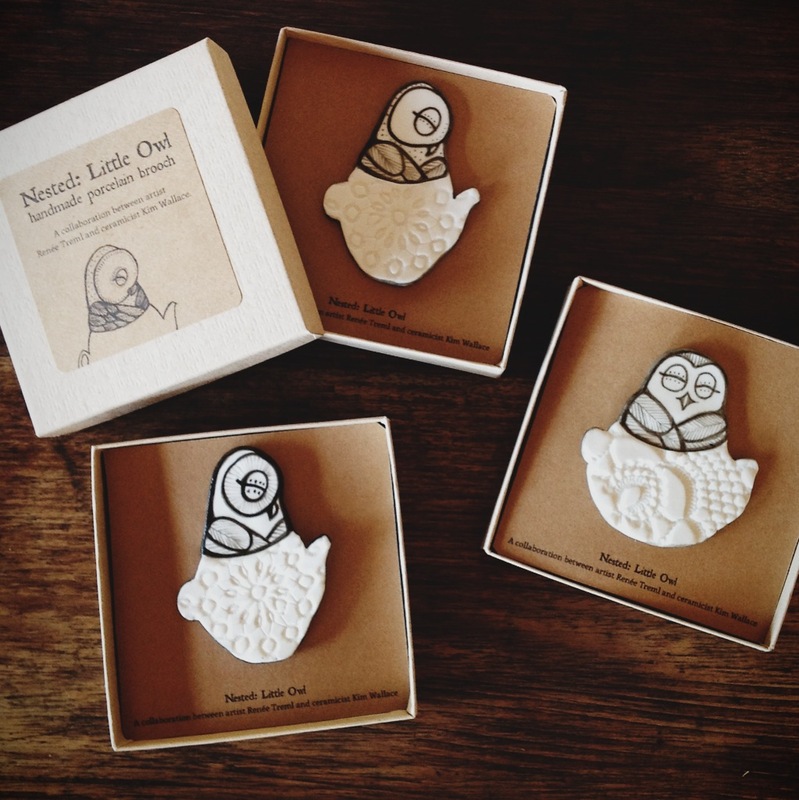 In Melbourne, I carefully paint an owl on each piece, making each brooch an original piece of art. I would love to know what you think about the pieces — feel free to drop me a line! A limited number of these little guys will be available for the first time ever at the Udessi stall at Finders Keepers Brisbane this weekend. Stop by the Udessi stall in Room #3 at the Old Museum in Brisbane this weekend and say hello to Kim. In the meantime, we are working on a much bigger collaboration that we hope will be ready for introduction in December… more on that later. Just wanted to share a link to WestWords where I recently wrote a guest blog post about the creation of One Very Tired Wombat. I cover just about everything related to creating the book, starting from my inspiration to the writing and illustrating process. At the bottom of the post are details about how to win a copy for yourself or school library. All you need to do is a leave a comment on the WestWords website about what keeps you up at night! 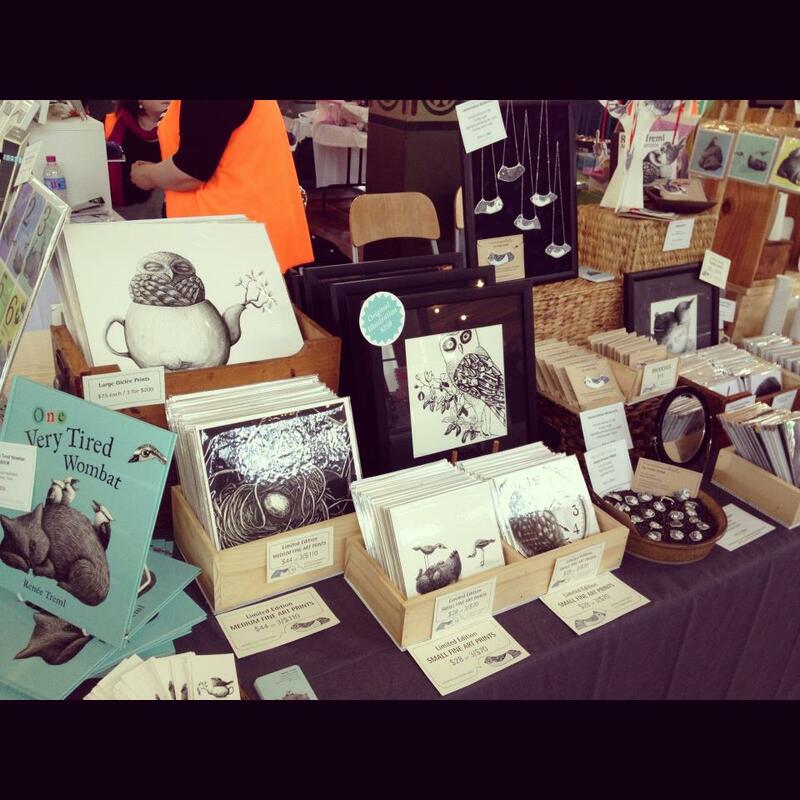 In my frantic prepping for Finders Keepers Melbourne, I completely forgot to post before the event. I have been a stallholder at several Finders Keepers and I am consistently impressed with and in awe of the high quality of every aspect: the organization, stall-holders, entertainment and venue. The organizers do a phenomenal job every time. My newest addition… little rings. Big big thanks to my lovely friend Kim Wallace (KW Ceramics and Udessi) for sharing the site and weekend with me. She will also be at Finders Keepers Brisbane as Udessi on 3-4 November at the Old Museum. If you missed out, Finders Keepers Markets happen twice a year in Brisbane, Melbourne and Sydney (and the Brisbane and Sydney Summer Markets are just around the corner). Kim and I will also be at The Big Design Market in 7-9 December at the Royal Exhibition Building in Melbourne. In addition to fourteen framed scratchboard illustrations, I also curated a little display case as a sneak peak into how I created the book. 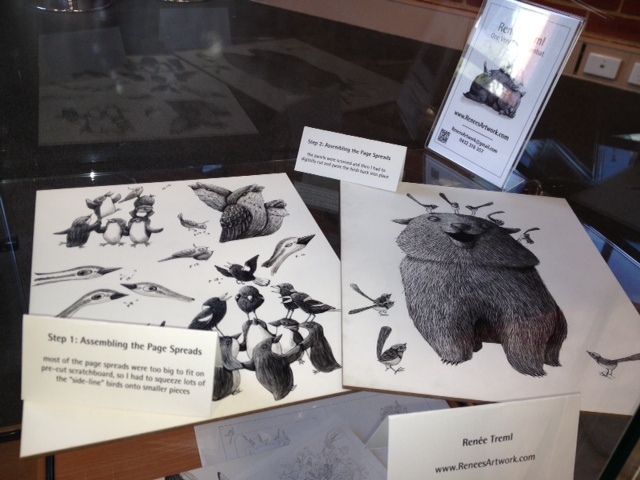 I included a few early sketches from the “big sneeze” and draft book mock-ups at different stages. I also used the space to demonstrate how I create a scratchboard illustration with an in-progress piece and a sampling of my tools. First shelf of the display case with a sketched book mock-up and early marked-up drafts. Lucky for everyone, the case was a lot smaller than I expected so visitors are spared my sketchy pages of color-maps, preliminary drawings, internal sketches, and scribbled-on manuscripts! The clayboard panels were often too small to include the entire page spread, so I ended up drawing lots of birds from different pages on single panels (which made it quite a bit confusing for the person in charge of scanning!). I left a big handful of bookmarks for anyone who visits. Please let me know if you happen to make it by the library. 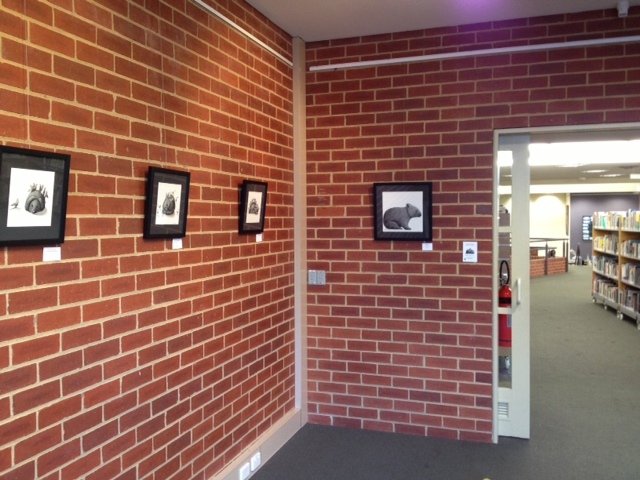 If you are in Melbourne, please stop by the Northcote Public Library from 2 through the 31 of October to see an exhibit of the original scratchboard illustrations from One Very Tired Wombat. If you are not going to be around Melbourne, I also have a few originals that will be on display and available for the holidays. 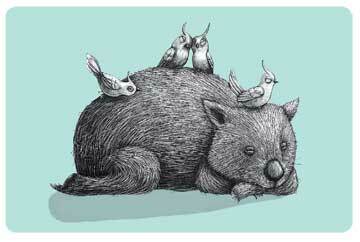 Tea Cozy Wombat, Sugar Glider and Bilby are currently available at Udessi Online Gallery. 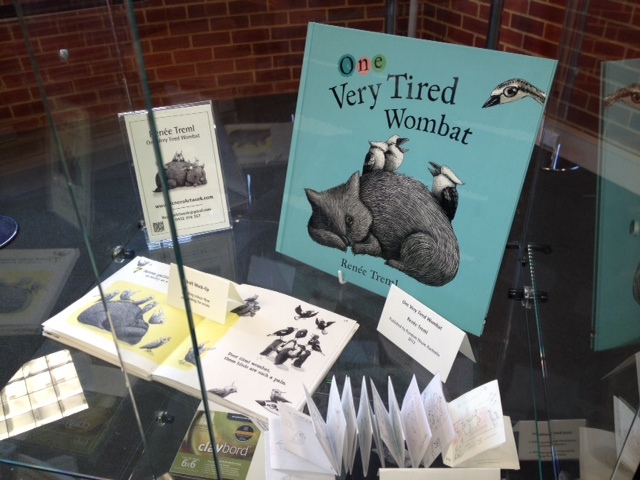 Wombat with Two Curious Curlews, Three Furtive Frogmouths and Four Playful Penguins will be part of the Webb’s Gallery Holiday Exhibit in November. It might seem crazy that I’m even mentioning Christmas, but Finders Keepers Melbourne and The Big Design Market are just around the corner and I have a second book to illustrate!